Dr. Charles Wallace, a Seattle native, graduated from the University of Washington in 1978 with a Bachelor of Arts degree in Biology. 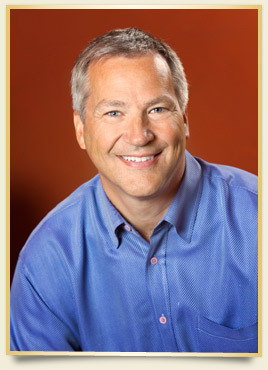 He earned his Doctor of Dental Surgery degree in 1983 from the University of Washington. Dr. Wallace taught in the Removable Prosthodontics Clinic at the University of Washington School of Dentistry for five years while maintaining his private practice in Seattle and earned a certificate in Advanced Restorative Dentistry. Dr. Wallace keeps current with ongoing advances in dentistry by participating in continuing dental education classes with the recognized leaders in dentistry. He has a passion for providing the best options available in dental care today and has a keen interest in cosmetic dentistry. Dr. Wallace is a Premier Provider of Invisalign®, and an active member of the American Dental Association, Washington State Dental Association, and the Seattle-King County Dental Society. Dr. Wallace enjoys skiing, boating, spending time with his wife, Gigi, and following the pursuits of their three daughters.